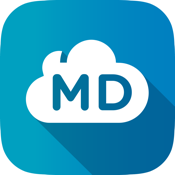 CirrusMD offers a mobile solution to communicate with a doctor via secure messaging and video chat. 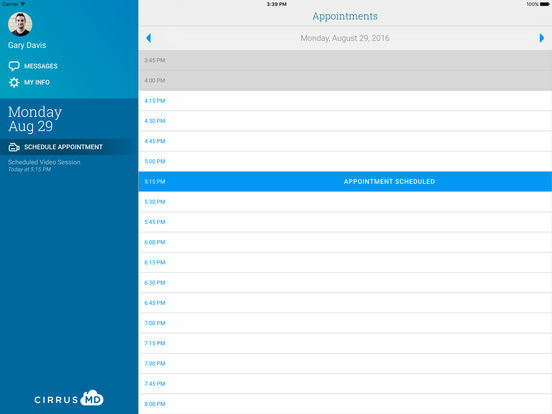 Schedule an appointment anytime, anywhere. Secure Messaging – Getting a call back from your doctor’s office can take days and often results in yet another visit despite your need for an answer to a simple question. CirrusMD solves this by allowing you to message directly to and receive replies back from a local doctor. Video Chat – How many times have you heard, “The doctor will need to take a look,” and promptly been transferred to the office scheduling department? 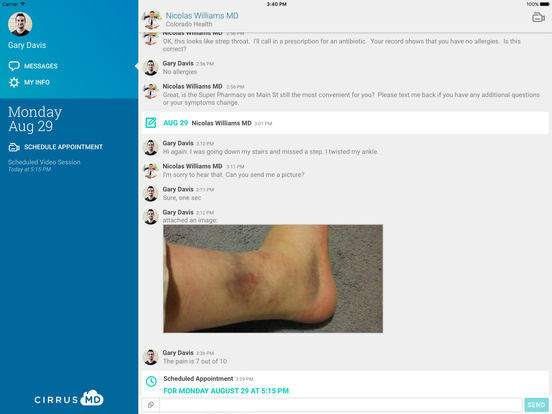 Video chat allows CirrusMD users to schedule a virtual visit from the comfort of your own home or office to discuss medical issues directly with a local doctor via phone, tablet or computer. No office visit required. 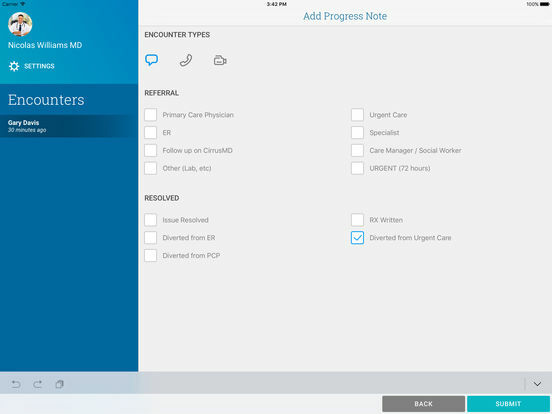 Patient Data Access – Access your message history, video progress notes, prescribed medications and health information within our easy to use platform. Access your information from anywhere and use it to make better educated decisions regarding your health. It’s your health history. Own it. Scheduling – The average wait time to see a doctor in a metropolitan areas is 20 days! With CirrusMD you can simply schedule a video appointment from the comfort of home. Your doctor is making house calls again.